Watermoor Houses knows that activities are central to excellent care. We offer a range of different types of activities that ensure there are options on offer suitable to all our residents, regardless of interests and ability. Activities provided within the home are free. 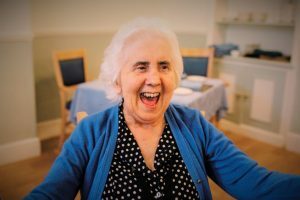 There is no obligation to join our activities but we do encourage our residents to be involved to increase their social interaction, mental stimulation and most importantly, their enjoyment. Our residents do make lasting friendships in our homes and enjoy a full and varied programme of activities. Our accredited Activities Co-ordinator Alison Picter, is passionate about creating a varied and engaging activities calendar designed to appeal to all our residents, regardless of ability. Alison spends a great deal of time with residents from playing games and holding quizzes, to writing letters and providing shopping services for residents both locally and online. She ensures the events calendar always includes up to date topical elements such as the Olympics or the Queen’s birthday and incorporates new trends such as colouring-in classes. Many of our more active residents enjoy regular trips out of the home. 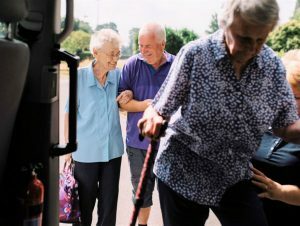 Trips out are an important part of an active social life, which our residents should continue to enjoy even though they are in residential care. They provide a cultural and social experience and a change from the home setting.